It’s springtime and time for some more floral inspiration. So, pale pInks and pastels, bright yellows and blues? Surprise – I’ve decided on a different spectrum this year. 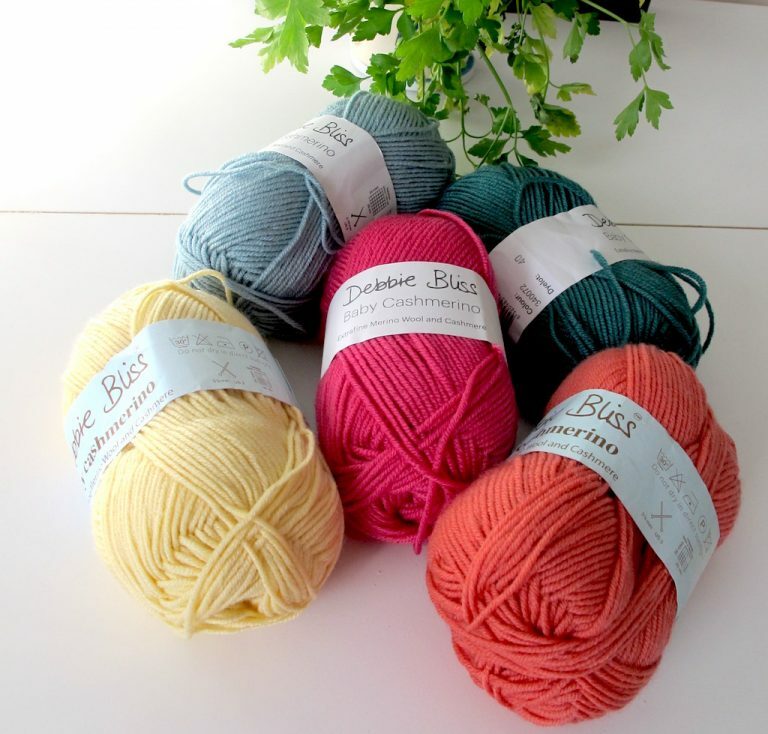 I love the texture of Debbie Bliss Baby Cashmerino for crochet projects – so soft and light, and easy to hook, even if it’s not the cheapest yarn on the block. Quite often, I’ll pop along to my local wool shop Nest and pick out a few shades to get some inspiration. 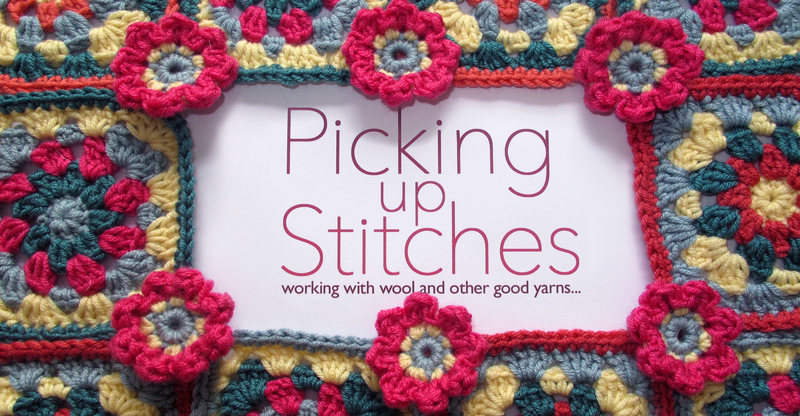 This time I chose five colours – Kingfisher, Coral, Primrose, Lipstick and Duck Egg. Once out on the kitchen table they shouted out to me ‘flowers’! Maybe it was something to do with the fact that I’d just potted up some bedding plants in my window box and was surrounded by fresh looking greenery. 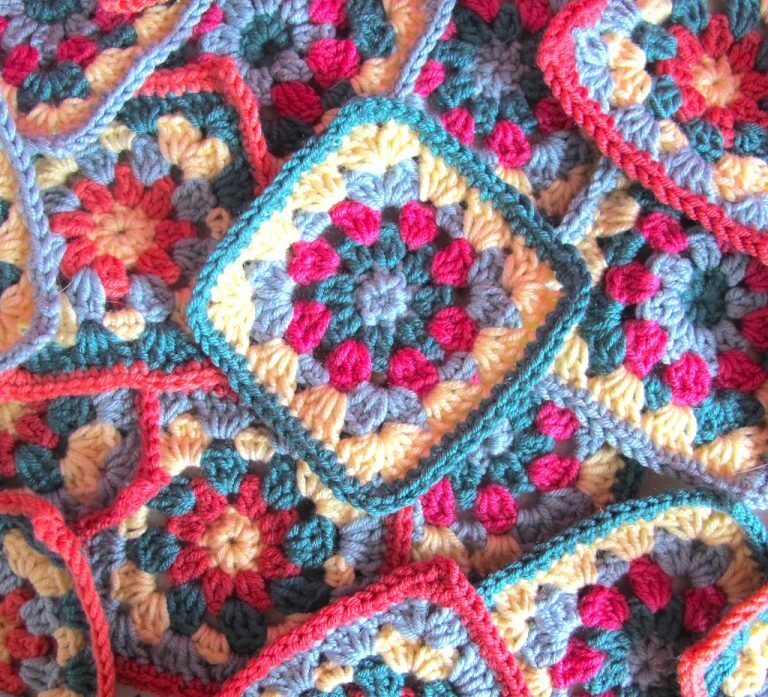 However, although I was sure the floral motif would crop up somewhere in this project, I was also keen to work up some granny squares. It’s been a while since I’ve crocheted any. 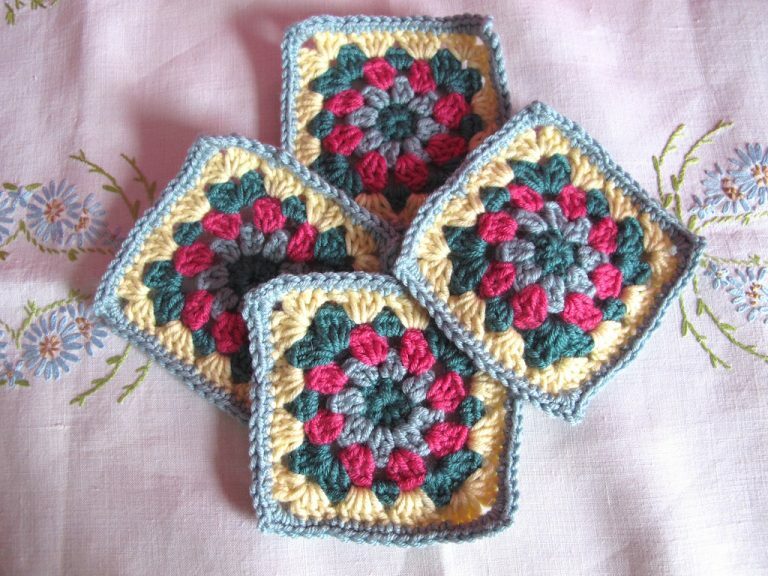 There’s something so satisfying about crocheting granny squares. For a start they’re so portable – even on a short bus journey, there’s time to hook a round or two. And they’re a lovely way to experiment with combining colours. The colours work really well together. But instead of using them in a completely random order, I decided on a few ‘rules’ to hold the project together. 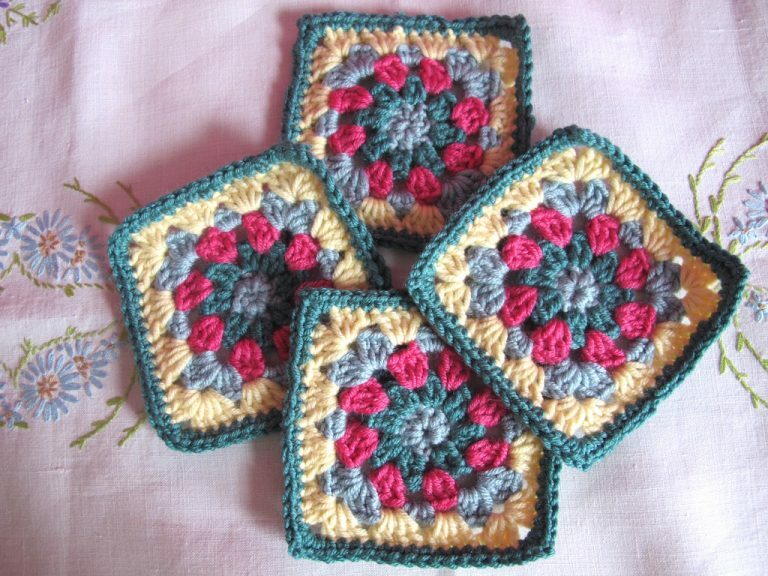 The squares would have 6 rounds, and whichever colour I started with would also be the colour in round 4. The colour in the second round would also be the colour in round 6. 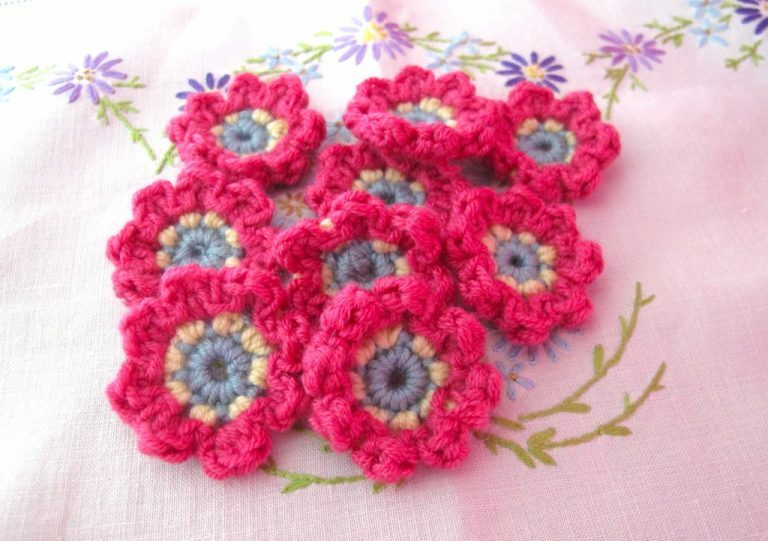 I kept the Lipstick pink for round 3 in a couple of the colourways, and also made that shade the main petal colour in the little flowers. 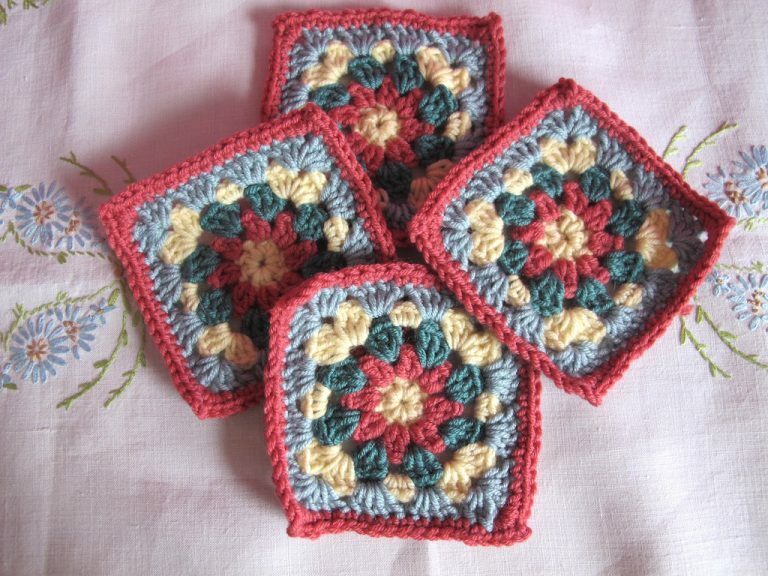 And I put primrose in each of the colourways, and as the middle round of the little flowers. 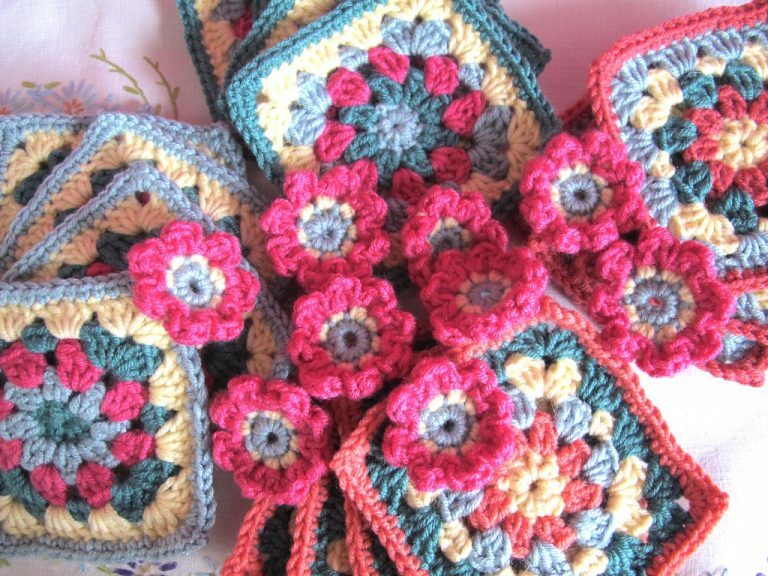 After making a mound of squares and flowers I decided that I’d use the little flowers as the joining motifs in the corners where squares meet. Round 1 duck egg, Round 2 dark green, Round 3 lipstick, Round 4 duck egg, Round 5 primrose and outer edge kingfisher. Round 1 primrose, Round 2 coral, Round 3 duck egg, Round 4 primrose, Round 5 kingfisher, outer edge coral. Round 1 kingfisher, Round 2 duck egg, Round 3 lipstick, Round 4 kingfisher, Round 5 primrose, outer edge duck egg. I loved the first three colourways so much, I popped back to the shop to buy an extra shade – Flame, and worked up another one. Round 1 primrose, Round 2 flame, Round 3 kingfisher, Round 4 primrose, Round 5 duck egg, outer edge flame. 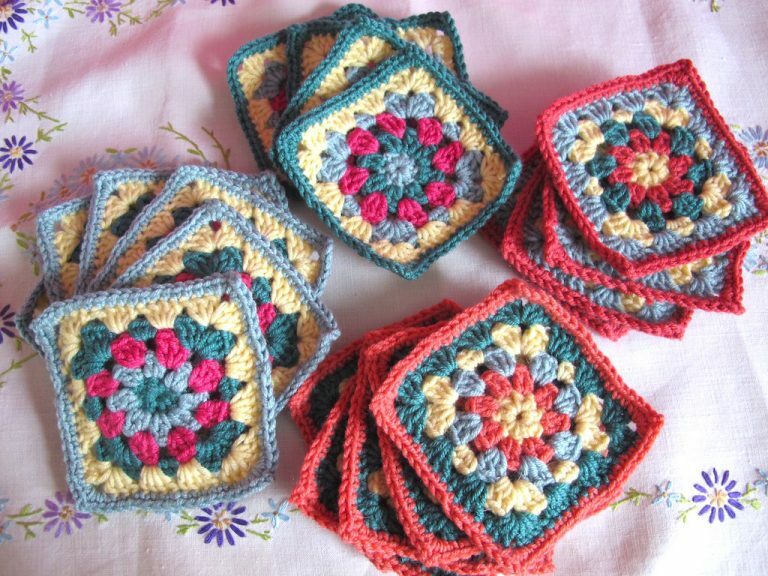 Now I’m busy working up a pile of squares and flowers before I decide exactly what to make with them. I’ve used them to head up this website already, as you can see at the top of the page, but can’t wait to combine them into a project. 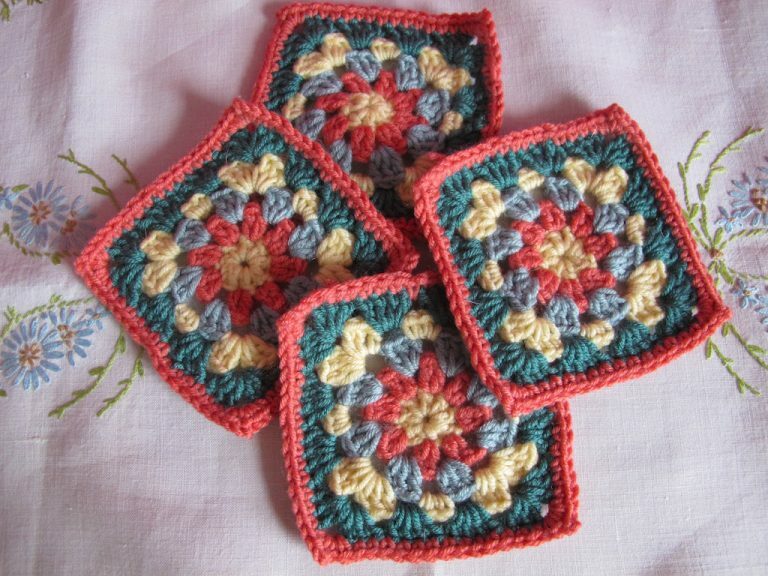 I’m still busy crocheting, but, as I said, I haven’t quite decided what I’m going to turn them all into.